About | Dr. Tumi Johnson, M.D. 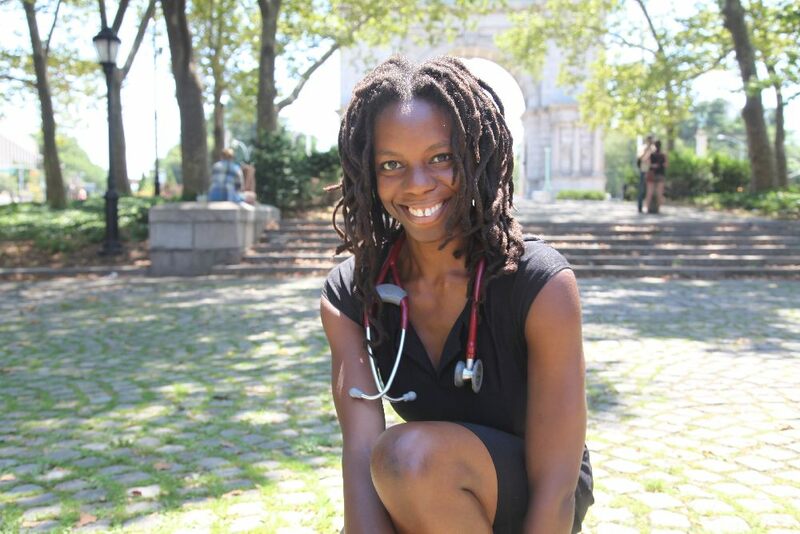 Dr. Oluwatumininu (Tumi) Johnson is an Integrative Holistic medical doctor. She is board certified in Internal Medicine and is also a diplomate of the American Board of Integrative Holistic Medicine. Dr. Johnson graduated from Vanderbilt University Medical School, receiving the honor of her school’s Kaufman Prize in Medicine for “humaneness and unselfish service in medicine. ” She completed her medical residency at NYU with a focus in Internal Medicine/Primary Care, receiving special training in psychosocial health care at that time. As a physician, Dr. Johnson has worked in many clinical settings. She was made Assistant Professor of Medicine at NYU in 2011. A graduate of the Institute of Integrative Nutrition, she also has expertise in nutrition with past experience running a weight management clinic in New York and serving in West Africa with Doctors without Borders to oversee nutrition clinics. She has also done medical volunteer work in the Amazon, Haiti, and Kenya, among other places. Dr. Johnson has been a consistent yoga practitioner for over 20 years, and completed yoga teacher training with YogaWorks in 2012. She is also a dancer and creates and performs her healing poemdances around the world. These dances are crafted and performed by Dr. Johnson with the intention of supporting the healing processes of whoever watches/witnesses the movement. For more information about her dance work, please visit www.tumijohnson.com and see the video below. Disheartened by our currently unhealthy medical system, I created this holistic medical practice to offer an alternative solution in which more time could be given to my patients to truly understand the root of their health issues. I wanted to be able to offer holistic medical advice that is uniquely tailored to the individual. It was also important to me that it could be done in the comfort of their homes or through skype/phone sessions for greater ease and flexibility. I don’t believe in only recommending medications to quiet bothersome symptoms. One should ask “why did these symptoms arise in the first place?” especially if they keep coming back. I believe that symptoms are the body, mind, spirit’s way of communicating to us disease and imbalance. My rich medical experience has shown me that the key to true and lasting health is by identifying the underlying causes that may be hindering our natural tendency towards self-healing, and using a holistic therapeutic plan (unique for each individual) that supports not just wellness but sustained optimal health. I use a unique three point holistic approach that incorporates my expertise in the fields of diagnostic medicine, nutrition, as well as yoga and mindful movement. I have seen this approach work time and time again in helping people achieve and SUSTAIN true optimal health and vitality. 1. Creating an INDIVIDUALIZED lifestyle and nutrition based plan to help you achieve your health goals. 2. Suggesting how to prevent the use of multiple pharmaceutical drugs through a holistic mind/body wellness plan. 3. Reviewing questions that might be important to ask your general or specialty care providers, based on your unique situation. 4. Answering questions about medications. 5. Interpreting and reviewing with you laboratory tests results. 6. Creating individualized yoga and movement sequences for you, to support you in your health goals, and guiding you through these routines in private sessions.